When you’re evaluating various tactics for inclusion in your book launch marketing plan, few can rival a juicy giveaway as a means for reaching your goals. In fact, most authors who have implemented this tactic successfully will agree that it’s one of the best ways to attract readers and collect their email addresses. To put it simply: giveaways (along with contests) are dynamite. All you have to do is light the fuse. Look, we sympathize with you—especially if you’re an indie author bootstrapping your first launch. The thing is that contests and giveaways can lead to a bucket load of benefits beyond collecting email addresses. 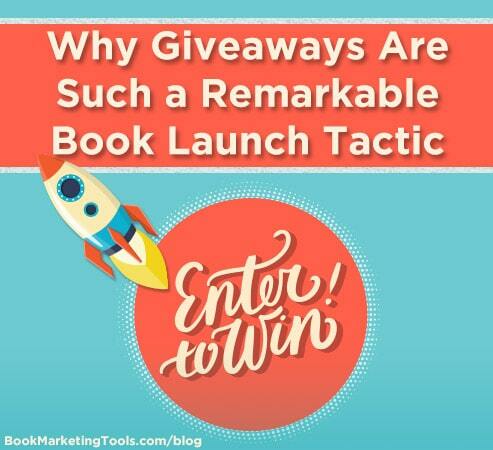 While many other book launch tactics are focused on a very narrow set of goals, the goals you can achieve with a single giveaway are much broader. You also achieve them faster. 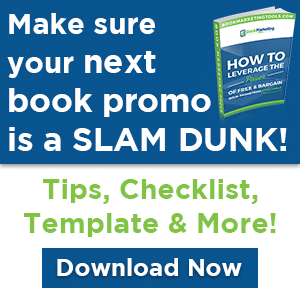 Generating buzz is what your book launch is all about, so why not take it to the next level? You can implement this tactic fairly cost effectively, and you can set the entire thing up in minutes. With that said, let’s review some of the key benefits of running a contest or giveaway. Giveaways create tons of goodwill. Give people free, valuable stuff and you’re golden—they will develop friendly, cooperative, and kind feelings or attitudes toward you. The other aspect to consider is that any time you give bloggers and podcast hosts goodies to give to their audience, you make them look great. It’s a win for all involved. Giveaways and contests can go viral. This means that every time you create a new one, you’re potentially setting your author brand and your new book up for massive exposure. If you’re hoping to generate engagement, this tactic is one way to go. From “likes” and shares to comments and subscriptions, you can use contests and giveaways to encourage interaction and move your followers to the next level of fandom. You need to be careful about how you do this, though, as there are rules and state regulations involved. Along with the all the shares, tweets, and link backs comes a bunch of traffic, which often results in page growth (i.e. more reach, more followers, and more engagement). Depending on how you set up your contest or giveaway, you can grow reviews organically as part of the overall process—and we all know how important this kind of social proof is for a successful book launch. Freebies can accelerate word-of-mouth marketing and boost your reputation. We all want people to say and share nice things about us and our books, but stimulating this kind of response from people is not always as easy as it sounds. It’s not something that usually happens overnight either. However, hosting a giveaway or contest is just one way to speed up this process and get people talking about you more. Believe it or not, contests and giveaways can help sell more books. When consumers get something for nothing, they respond in a variety of surprising ways—many times subconsciously. It’s based on the reciprocity principle whereby the value you give them for free creates a reciprocal relationship. In other words, they feel a sense of connection and responsibility to give back. “Hold on, I’m not giving everyone a prize!” That’s true, but if you set up your giveaway wisely, you can still leverage this tactic to potentially boost sales. Let’s say, for example, you have an awesome grand prize with only one winner. As a way to commiserate with everyone who didn’t win, you can send them an email to that effect with a link to a free copy of your book. This puts your book in their hands. If they like it, they could become lifelong fans and purchase sequels or other books you produce in the same genre. This is especially effective if your book launch is for the second book in a series and you send them the first for free. Giveaways and contests make it extremely easy to build a super targeted, warm list of leads quickly. With the right prize up for grabs, you’ll gain the attention and email addresses of people who are truly interested in your genre and not just the freebie. Bottom line: there’s nothing quite like an exciting, time-sensitive event to drive campaign objectives. If you’re looking for an ideal way to warm up your audience at the same time, then giveaways are it. Have you seen any surprising benefits from contests or giveaways? Share your hits and misses with us in the comment section below. Also, be sure to stay tuned for more on book launches by subscribing to our blog. You’ll also want to download our free launch checklist below to ensure your campaign is a success.